This is about lean management and organizational change. It is about adapting to disruptive technology and markets. The ability to adapt your organization’s capabilities to changing technology and markets is, in itself, a core competence required of every organization today. And, continuous improvement will not get you there. Disruptive technologies and markets require transformational change, revolutionary rather than evolutionary, not simple problem solving or continuous improvement. The lean management process or Toyota Production System is founded on continuous improvement. But that continuous improvement is built on top of a stable platform that is aligned to a relatively stable market. Cars still have four wheels, for the most part still have an internal combustion engine; but, they don’t fly and they don’t travel over the Internet. But, what if technology completely disrupted the business model. And, how do you transform to adapt to disruptions? As an individual consultant and author, I am my own business unit, seemingly uncomplicated, but definitely multi-functional if not multi-skilled. I have just finished another book. In the good old days of publishing you sent your book off to your agent or your editor and you trusted the publisher to handle everything from that point forward, including editing, cover design, marketing, etc. Hopefully, you received a fat advance making the torture of writing minimally rewarding. For many authors, those days are history. Even highly successful authors are now turning to self-publishing and disrupting the traditional system. The changes to which authors, and many companies must respond, are driven by the changing demands of the customer or market place. And, those changing demands are the result of technology shifts. Here is what has changed. 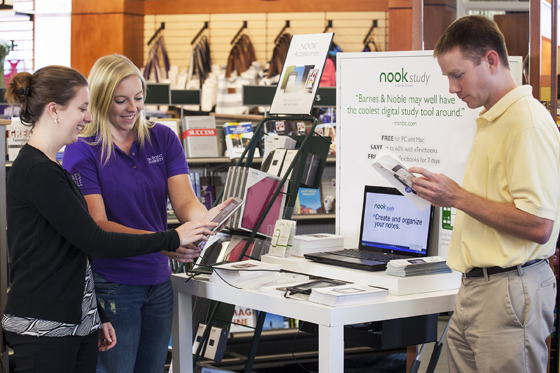 Yesterday I visited my local Barnes & Noble in Annapolis, carrying my Nook and visiting their Starbucks where I could sit and enjoy browsing books on my Nook tablet while sipping my favorite beverage. I have watched this store over the past twelve years as it has been transformed. Ten years ago there were six large book cases of management books (not counting finance, investing, etc.). Today there are two. Most of those two are taken up by legacy best sellers. Wandering around the store I saw shelves labeled “Manga.” I never heard of Manga! I went over to investigate and there was a teenage girl flipping through one of the books and I asked her what Manga was. “Japanese cartoons”, she replied, looking at me like I was stupid! There are three large shelves filled with books of Japanese cartoons. Japanese cartoons are outselling the Toyota Production System by a mile! And, I thought I was smart! At least half of the floor space at this Barnes & Noble is now consumed by children’s toys and electronics associated with the Nook. Add the space for magazines, blank diaries, reading lights, and Starbucks, and less than half the floor space is left for books. And, that is disappearing fast! I don’t blame Barnes & Noble, which is losing money in its stores. They are fighting to stay alive and trying their best to adapt. They are the only remaining bookstore chain and there are precious few independent bookstores. When I want to buy a book, or browse for what’s new in a field like lean management or change management, I would be wasting my time to go to any bookstore. The books aren’t there. Like you, no doubt, I go to Amazon or B&N online. There I will search key words, read descriptions, reviews and the author’s information and purchase the book or the e-book. That is the market for business books today. Given this disrupted reality, what does a publisher do for an author, that the author cannot do himself? The primary reason for publishing with a major publisher was distribution… their sales force that would sell your book to the book stores. But, with shelf space rapidly disappearing… they aren’t buying. Need an editor? You can hire one in any town or from the Internet. Google “book editor.” No problem. Need a cover designed, do the same. Need a publicist. Hire one. You can manage the entire process yourself and keep the majority of the margin on the retail sales. Lean is the elimination of waste, non-value adding activity. If the reader can get exactly what he or she wants, directly from the writer, everything between the writer and the reader is waste. Trips to a bookstore are waste. Standing in line is waste. Staring at a bookshelf where you can’t find what you want, is waste (unless you are looking for Manga!). It is entirely possible that the Internet will soon make both publishers and bookstores a thing of antiquity. Where is that blacksmith’s shop, anyway. Of course, I am fond of bookstores. I remember when my American Spirit and Barbarians to Bureaucrats were on the front table at Walden Books, Brentano’s, and Border’s. There is no greater satisfaction for a writer than to see your book on that display table at the entrance. But, unless you are a celebrity, a politician or a famous sports star, it probably won’t happen but for a very few. Publishing is becoming a lean business. Author to printer to Amazon to reader, directly. It is a pull system. You order a book from Amazon, and although they say they have x number in stock, in most cases they don’t have any in their warehouse. The electronic order goes from your desk, to Amazon, to the on-demand printer, in seconds. The printer prints the book you ordered, a single copy, that night, and ships it the next day. It arrives at your door in a box that says Amazon the following day, but it is coming directly from the POD (print on demand) printer. Of course, it is faster than that if you order the Kindle, Nook or iPad version. That is lean publishing, all enabled by the technology of the Internet and new printing technology. So, what does that have to do with your business? The shorter answer is everything. The exact same principles and process are being applied to almost every business. If you believe that creative destruction can’t happen in your business it is possible that you are like the frog in the gradually heating water who only tries to jump out when it is boiling. Almost every business is being disrupted to some degree. Here are some things you can do to survive creative destruction. 1. Who Gathers and Analyzes Intelligence? Sensing is the beginning of strategy. Strategy is about sensing changes in the external environment and defining how to adapt, how to position your organization for competitive advantage given the changing landscape. When I was a young man I served in the U.S. Army Intelligence Corps in Europe and Vietnam. Most people don’t realize that more than 90% of intelligence gathered, processed and analyzed by the CIA and the DIA is overt, rather than covert, intelligence. In other words, it is available from public sources. I am not advocating spying by any company. But, I am advocating having a deliberate process of gathering and processing intelligence on the external landscape. The external landscape include technology, economics, political changes, social changes, competitor behavior and even climate change. With all the information about disruptive changes you cannot evaluate all the data casually. It requires a system, responsibility and accountability. It has amazed me that large organizations will have hundreds of sales people out speaking with customers and learning about their changing preferences and competition every day, yet do almost nothing to process the intelligence they are gathering. It is like having eyes but not seeing. And, that is only one source of readily available intelligence. The real problem is that most companies are like a government would be if they had not CIA or DIA to process and analyze information. Who is responsible for objectively analyzing all of the available sources of information on your markets, relevant technologies and competitive behavior? And, is that information presented to senior managers in a way that leads to effective responses? From my observation, in most companies this process is entirely haphazard. 2. Who Builds Adaptive Scenarios? Potential disruptions to your business model must be prioritized.The military is very good at this. They constantly build scenarios around irrational behavior from North Korea, another revolution in the Middle East, or other potential threats. Chances are they have a planned response for almost any contingency you can think of. What are the greatest potential threats to your business? And, how can you capitalize on any new technology or social trend to create a threat to your competitors? Better to be the disruptor, rather than the disruptee. Which management group has oversight for strategic adaptation? It should be the senior management team with clearly delegated responsibility for both sensing and responding. How often does the senior management discuss the intelligence and potential scenario? The president of the United States receives an intelligence briefing daily. That’s a clue. In today’s rapidly changing environment, an annual strategic planning process, with annual plans, is entirely too slow. 3. Who Designs the Future? In truth, many organizations today are poorly designed for their current reality. The structures and systems were created in an age of stability and slow change. In The Machine that Changed the World there is a case study of a two teams designing a new car model. One was the new Chevy Barreta and the other a new Honda Accord. Both companies designed the cars utilizing cross functional teams comprised of engineers from engine, chassis, transmission, manufacturing, etc. But, in the case of the Barreta the members of the team each reported up to their siloed structure for the engine division, chassis division, etc. Every decision had to be approved up through the line management of those silos. In the case of the Honda Accord team, the team leader reported to the CEO and everyone understood that the two most important teams in the company were the team designing the next Accord and the team designing the next Civic. Everyone else worked for those teams. In the Barreta case the team leader quit three times in frustration. Needless to say the Barreta doesn’t even exist anymore. It took twice as long to design and it had little appeal in the market place. Structure matters. When technology and markets shift, as they are in healthcare and many other fields, the structures and the systems of the organization need to be transformed to align with the new reality. Continuous improvement will not break down major organizational walls or redefine major systems and processes. Continuous improvement is ideal for improving micro-processes within existing structures. But, if those structures are not aligned to the external environment, and not aligned to each other. Continuous improvement will not get you there. Transformational change management is required. In stability you don’t need to transform your systems and structure often. But when the landscape is changing and at rapid speed, this competence of managing change is likely to determine winners and losers. Strategic planning should sense the external landscape and define the future markets and market positioning of your company. That should be a core competence. But, transformational change goes beyond that. Transformation change creates the internal capabilities required to compete in the future environment. Your strategy might say that in five years fifty percent of your sales will be direct to end-use customer sales over the Internet. That is a market strategy. But, it does not define the internal capabilities that will enable that result. What skills are needed? What culture will enable you to manage that type of business? What processes are required to perform in that marketplace? What structure will enable those processes? Transformational change management is a process, not of problem solving, but of creating the future – the organizational capabilities required to adapt to the changing environment. Wonderful insights into management–as usual. We expect nothing less from Larry. And I love the connections between publishing and management. Having experienced both worlds, I was keenly interested in that section and found the correlations right on. Bravo, again, to Larry! Here I am, an end-use customer of your information. I have just accessed today. I could have learned from you sooner only if I had been more tech-savvy when I borrowed your laptop a decade ago. Now, your deliberate connection to emerging markets, (in this case, LinkedIn users) and my deliberate adaptation to the technology, (business through social networks) produces delivery reminiscent of the zero-inventory factory model I read about in a Japanese cartoon. From your keyboard to my screen proves a nice point. Hi I like what you said about “It is entirely possible that the Internet will soon make both publishers and bookstores a thing of antiquity.” True, who cares about carrying bulky things when u can store as many as u want in your e-book. I completely agree. The ground is shifting and some niche companies are behaving like the proverbial frog. One in defense and is expecting “sales to be better next quarter”. I can’t get them to realize that health care is growing. They can see the “invisible” health market when defense has been so good in the past. I am ready to read Larry’s new book. I hope it is on the topic of needed tools for how to lead a company toward transformational change. Thanks, Robert. The new book is definitely on the subject of leading transformational change and adapting to changes in the external environment. It will be available soon. I’ll let you know.